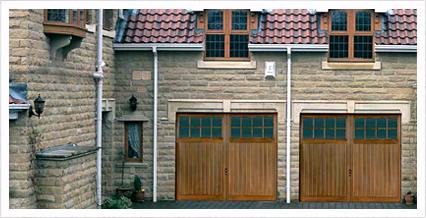 Beautiful garage doors in a range of different finishes. 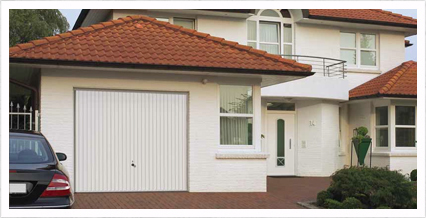 Aintree Garage doors specialise in the supply and installation of high class garage doors in Liverpool. Established in 1997, Aintree garage doors are a family run business that has seen rapid growth through exceptional customer feedback and recommendations. This built upon our reputation for delivering the best service possible to every one of our customers. We can discuss your garage door needs with you and find the right solution for your particular specification. We have a policy of no call out charges and you can be rest assured that all work is undertaken by reliable and professional tradesmen. We offer our reliable garage door services in and around the city of Liverpool including the following areas: Liverpool, Aughton, Ormskirk, Burscough, Southport, Formby, Crosby, Blundellsands, Litherland, Aintree, Melling, Maghull, Lydiate, Kirkby, Childwall, West Derby, Bootle, Skelmersdale & St Helens to make sure your vehicles such as cars, buses, limos, trucks are locked and safe. We offer garage doors of the highest quality in 100's of finishes and designs to enhance your home. We have diverse styles that include, but are not limited to steel, wood grain & fibre glass doors in a wide selection of colours and styles. We also offer made to measure or standard units to ensure the perfect fit. All of our garage doors come completed fitted by our own team of experienced tradesmen. 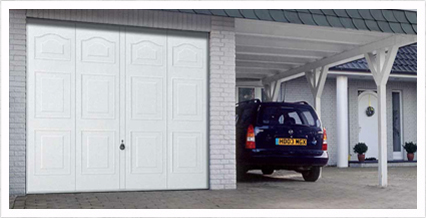 In addition to the supply and installation of our high quality doors, Aintree garage doors also offer excellent after sales services to ensure that your garage doors are always at their best.